V3 Lacrosse is entering the eigth year of advanced lacrosse player training. Since 2010, our program has produced some of the areas best lacrosse players including a 2015 US Lacrosse All American, the Bob Scott Player of the Year Award for the Tidewater region and more than a dozen Brine National High School All Americans. We have also won over a dozen Championships. The class of 2017 includes many "plankholders" that have been with the club since the start - 5 of them are now committed to play NCAA Lacrosse in college! Our training system is the best in the region and is based upon the 3dLacrosse Box/Field Hybrid approach - a methodology that we follow from the youngest players starting off through high school. That is supplemented with regular guest coaching from visiting professional lacrosse players in various specialties. 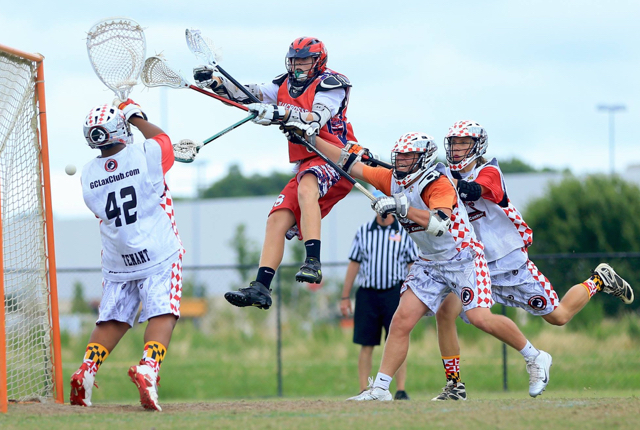 When our players attend camps like 3d Blue Chip, FLG Legit or Trilogy Aces they are very comfortable and have the skill set they need to hang with players from traditional lacrosse strongholds. We are a trusted partner for these showcase events and our nominees are nearly always accepted.